Many older patients dream of finally correcting the noticeable gaps and crookedness in their smile, but they can’t stand the thought of wearing metal brackets and wires. Thankfully, there is another way: Invisalign Clear Braces. 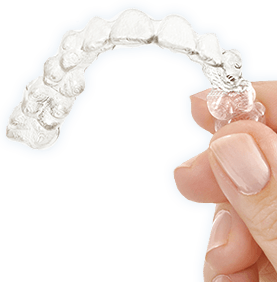 Invisalign has transformed the age-old orthodontic process, switching out braces for clear, subtle aligners that are barely noticeable when worn. Are you interested in learning more about whether or not this service is right for your unique needs? Schedule a FREE consultation with Dr. Boehmer today by using the form below or contacting us by phone.